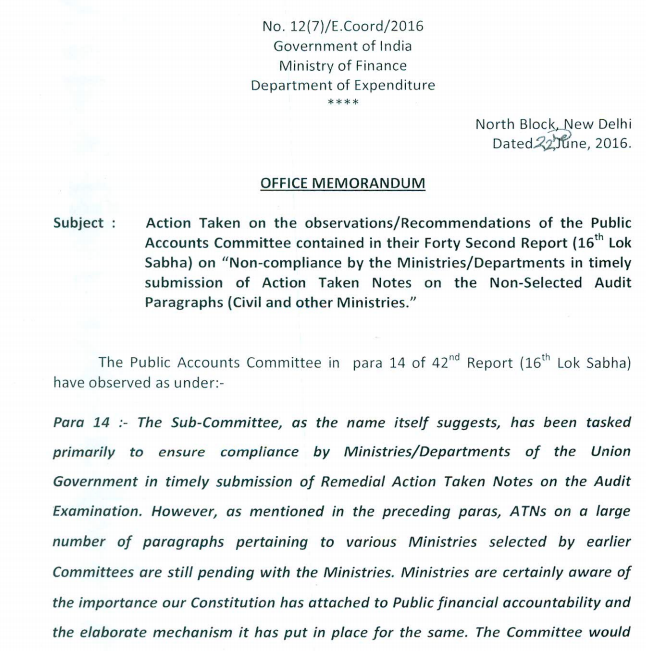 Recently an office memorandum (OM) dated 22 June, 2016 was issued by the Ministry of Finance. 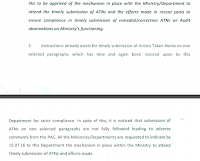 The subject itself is interesting and ironical, “Action Taken on the observations/Recommendations of the Public Accounts Committee (PAC) contained in their Forty Second Report (16th Lok Sabha on “Non-compliance by the Ministries/Departments in timely submission of Action Taken Notes on the Non-selected Audit Paragraphs (Civil and other Ministries).” Rest of the part of the OM you can read from the copy attached herewith. The irony is that I was attending a conference at Vigyan Bhavan in November 2008 covering the same subject. 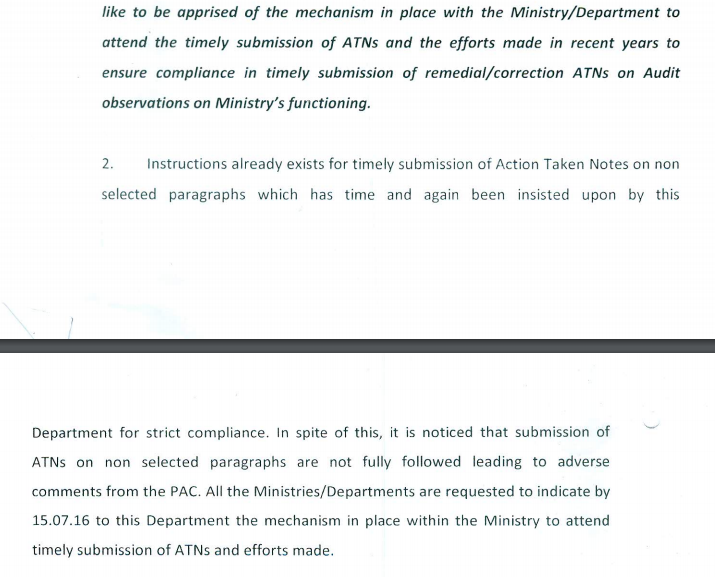 But it was announced in the conference that most of the ATNs are pending with Finance Ministry and nobody from that Ministry attended the conference. Mainly, the aim of the conference was to sort out the things by interaction of Ministry representatives with CAG officials to solve the issues like removing any doubts or clarifications due to which ATNs were pending. 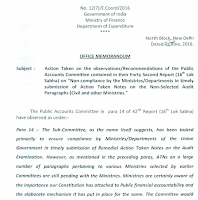 But ironically, the same Finance Ministry has issued this OM under reference.